For some, it’s the late nights scratching out names on a clipboard to ensure that each young teamster gets a fair share of playing time, or the burden of worry for cutting them from the only constructive activity in their rough life. For others, it is the hassle of politics and money concerns while you are trying to keep a winning record and hold on to your job. And for still more coaches, it’s the simple joy of watching young athletes overcome obstacles to triumph on and off the field, then staying behind to pack the equipment away and dump out the watered-down Gatorade cooler. Yes, a coach puts a lot of work in to their team. Because of this, despite their often gruff exterior many coaches have a streak of the softie inside… somewhere. That’s why you want to get them the perfect coach’s gift. You want to show them that you see their hard work, their long hours, and their ability to put in all on hold for a kid who can’t figure out algebra. 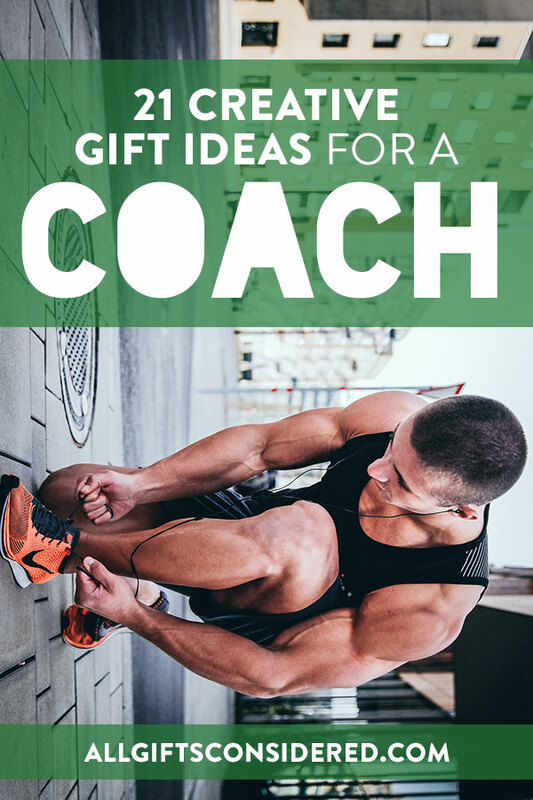 So here we have gathered for you the very best gift ideas for sports coaches. These items include unique, creative, and personalized items, as well as classic sporting accessories and traditional coaching tools. We hope this helps you find a great thank-you gift for a coach, a meaningful retirement gift, or just the right touch for a personal birthday gift. 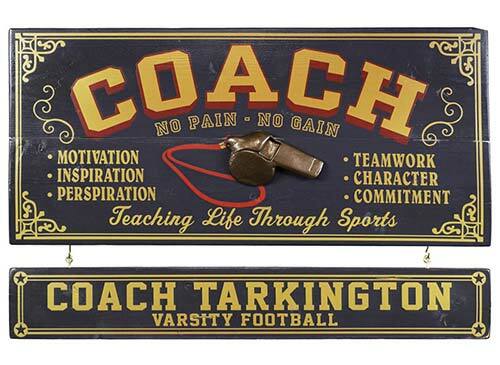 A beautiful personalized vintage sign that will look great in any coach’s office, this piece is crafted in the USA from furniture-grade wood, screen printed in a timeless design, and distressed by hand. The hanging name board can be personalized with the coach’s name and more. Use the second line for a special championship season, to note the coach’s role or sport, or for the team or school name. And of course the centerpiece of this coach gift is a hand-carved relief in three dimensions of a classic coach’s whistle. 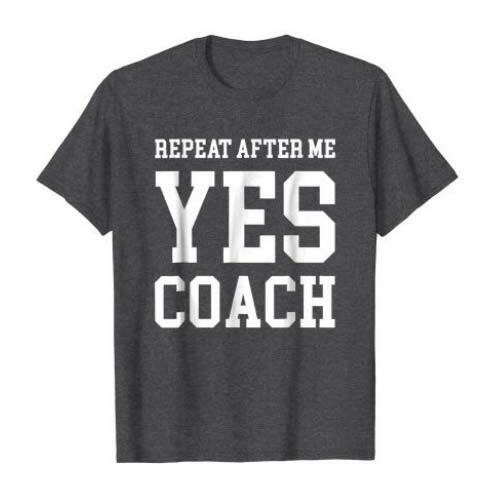 A truly one-of-a-kind gift for the sports coach in your life. 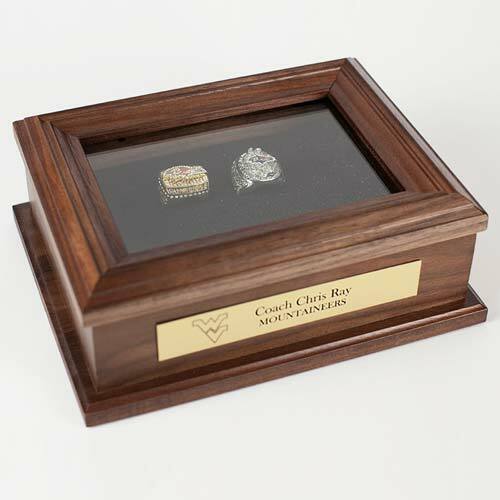 For the coach with plenty of championship rings, this commemorative wooden ring box is the perfect gift. Genuine walnut wood, made in the USA, hinged lid with real glass, and a custom laser engraved name plate that can include team logos and more. 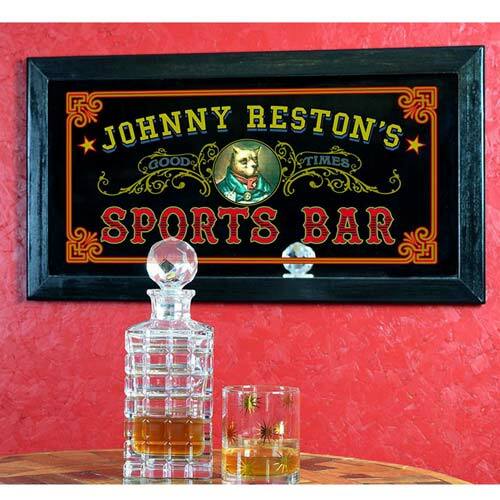 This gorgeous antique-style sports bar mirror is made in the USA with a genuine wood frame and real glass. Includes fun old-fashioned design in full color with the coach’s name splashed across the top. A beautiful heirloom gift for a coach. 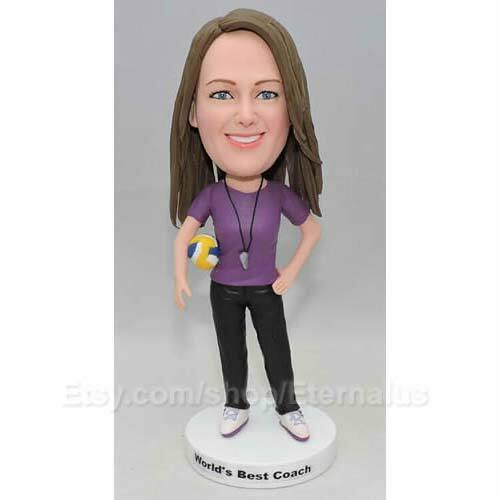 How about something totally unique: A personalized bobble head made to look like coach! These collectible dolls can be made for any sport, with team color shirts and a custom head, all handcrafted from polymer clay. See more styles and themes (including groomsmen gifts, hunting, doctors, couples, and more) here. Every coach knows the importance of proper hydration… or at least a good strong cup of coffee for those early-morning practices. Our YETI and Polar Camel tumblers are double-walled, vacuum sealed, and will keep drinks hot (or cold) for hours. Plus they include custom laser etching of anything you like, no additional charge! 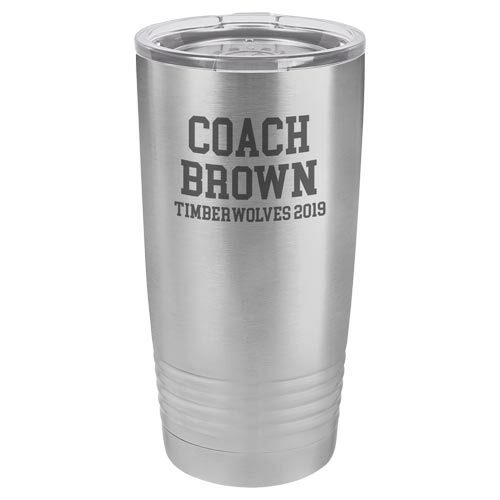 Choose a tumbler as your perfect gift idea for a coach and watch them use it year-round. More sizes and styles available here. This is what you want to hear from every player, every time. Show up for practice 10 minutes early? Yes, Coach. Run 50 wind sprints? Yes, Coach. Drop and give me 100? Yes, Coach. 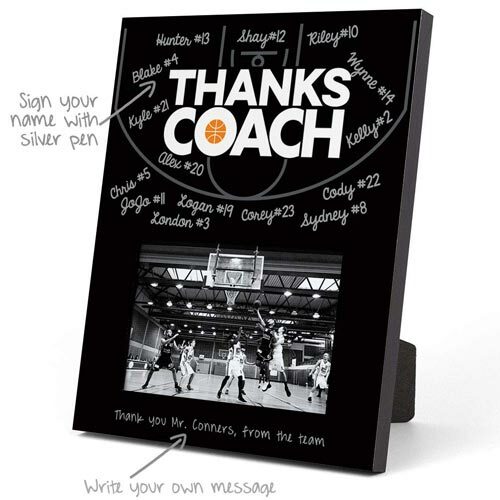 Here is a classy, simple, affordable, and personalized coach appreciation gift. 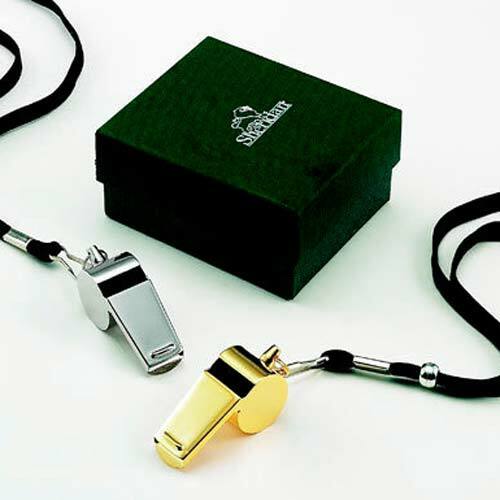 The golden coach’s whistle can include custom laser engraving and arrives with a lanyard in a lovely gift-ready box. A great organizational accessory, a bucket sleeve is the perfect gift for a new coach. They can tote all the balls, pumps, tools, whistles, and more in a handy five-gallon bucket. Great for Little League and tennis coaches. 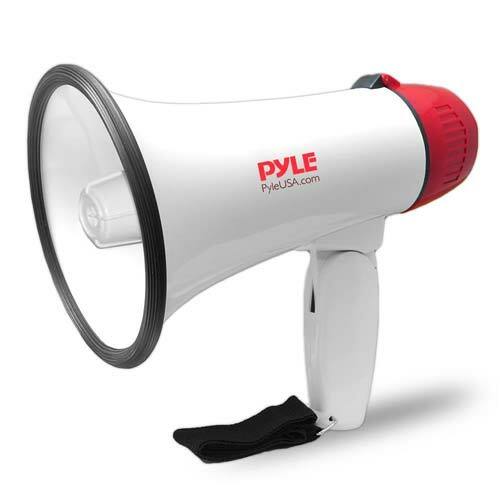 As if coach’s voice isn’t already loud enough… This bullhorn works equally well as a practical purchase or a joke gift. Maybe coach can be heard up and down the field at all times, or maybe coach is the soft-spoken type that instantly commands silence and respect. In any case, all coaches need a bullhorn for some reason or another. This is the top-rated one on Amazon. 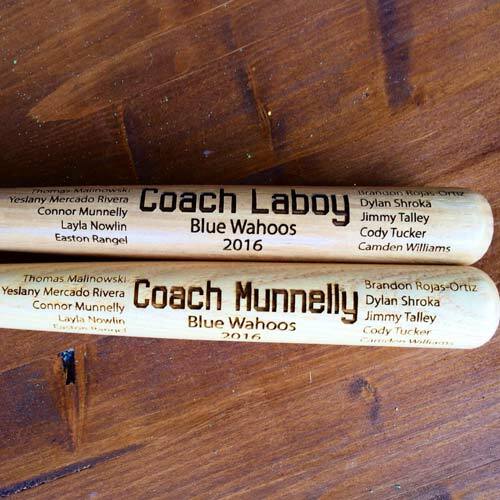 These personalized mini bats are a fun way to show appreciation to your baseball coach. Engrave them with the team logo, player names, or the details of a championship season. 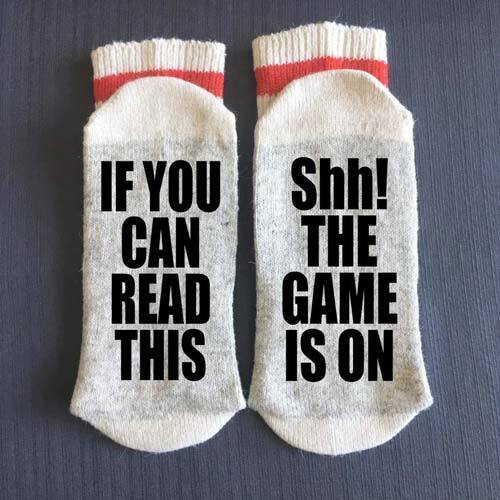 Here is a memorable, personalized, and sure-to-be-used retirement gift idea for a sports coach. 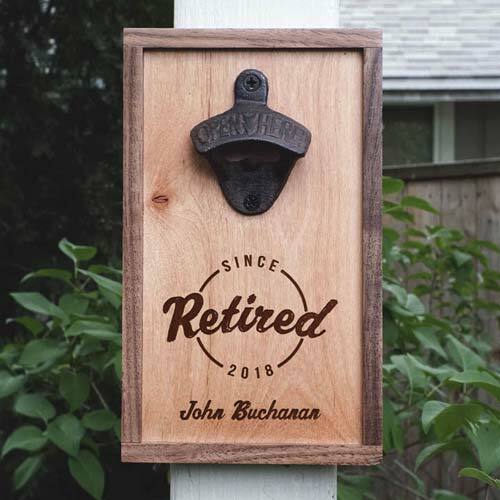 Made in the USA from solid wood with a gorgeous cast iron bottle opener, this beast is engraved to order to celebrate the legacy of a retiring coach. 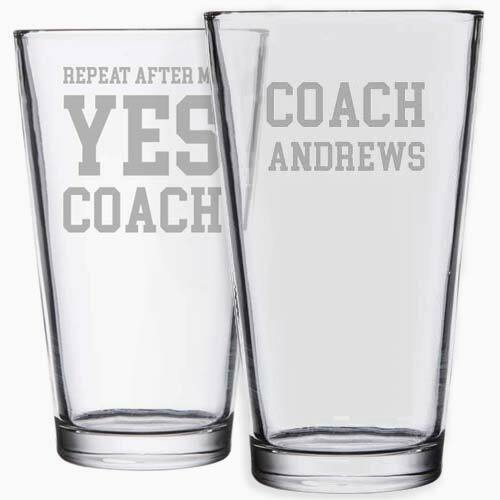 How about a set of pilsner or pint glasses, etched with each coach’s name or perhaps their favorite phrase. Who doesn’t love a great sports movie? The drama of sports on the silver screen is the next-best thing to watching your favorite teams play live on the field. 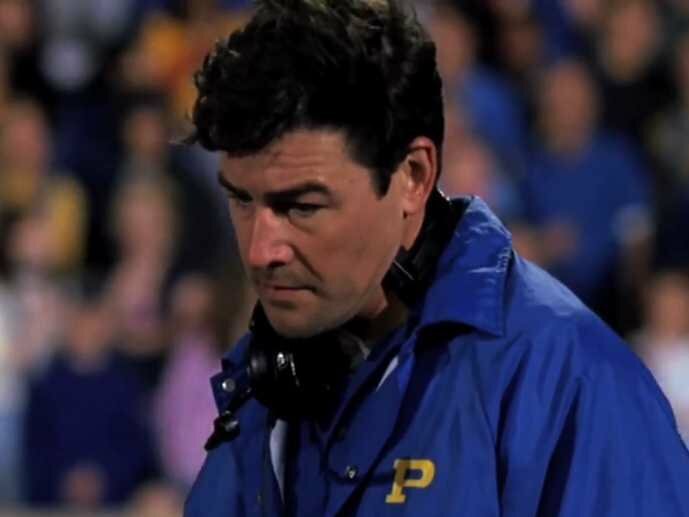 Here are some fun and well-reviewed sports movies that feature great coaches and managers. Celebrate a beloved coach with a sports team photo frame, personally signed by each member of the team. The frame looks like a chalkboard and measures 8×10, with space for a 4×6 photo. 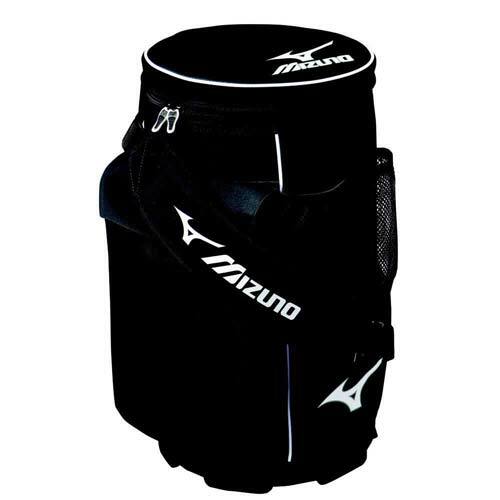 With a modern look and the ability to customize at a moment’s notice, this is a great gift for your sports coach. Pictured above with the basketball theme, this frame is also available for baseball, football, hockey, and soccer coaches. 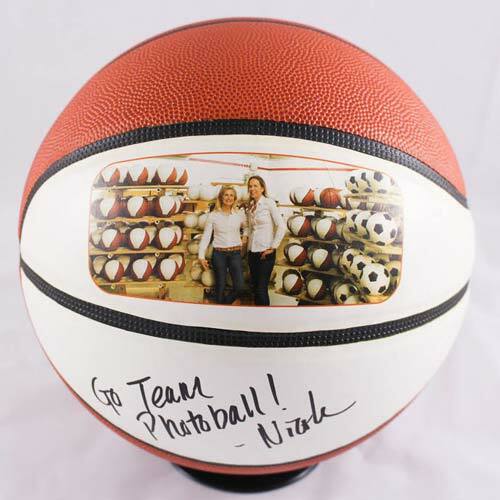 This personalized ball is the ultimate basketball coach appreciation gift. Custom printed with the photo or logo of your choice, this is the “game ball” of the year to celebrate a memorable championship season. An authentic barrel top sign for the coach in your life. This premium gift idea is made to look just like the top “quarter” of an oak barrel, with real wood staves and a steel hoop surrounding the edges. 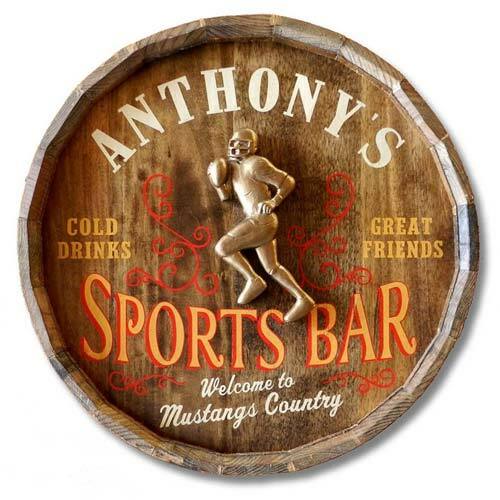 The sports bar design includes vintage-style lettering, a rustic stain finish, free personalization, and a hand-carved relief of a quarterback deep in the pocket. The perfect coach gift idea for a classy sports-themed home bar. When the 10th inning rolls around, you know it’s time to grab a cold beer. For a baseball coach, extra innings are when you arrive home and can relax in your sports bar man cave. This coach gift idea is made with furniture-grade wood in the USA and includes personalization, plus a hand-carved relief of a baseball mitt and ball. Grab a cold pint – you’re among friends! 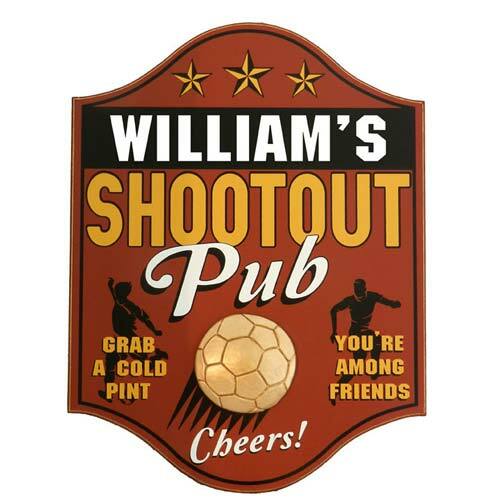 For a soccer coach who loves to gather with friends to cheer on a favorite World Cup team, this personalized wood soccer pub sign is a creative and memorable soccer coach gift idea. 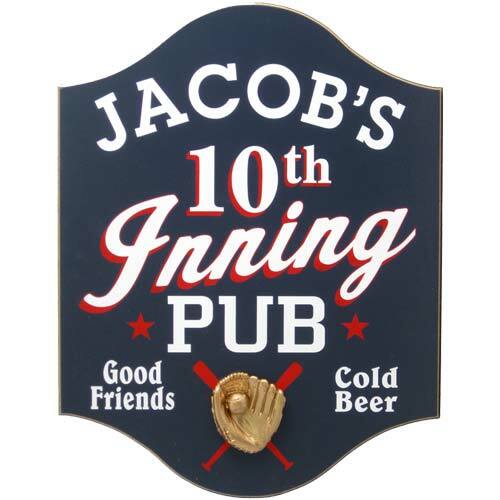 Solid wood sign made in the USA, includes personalization and a hand-carved 3D soccer ball centerpiece relief. For something fun, give one of these lovely and personalized mini corn hole game sets. 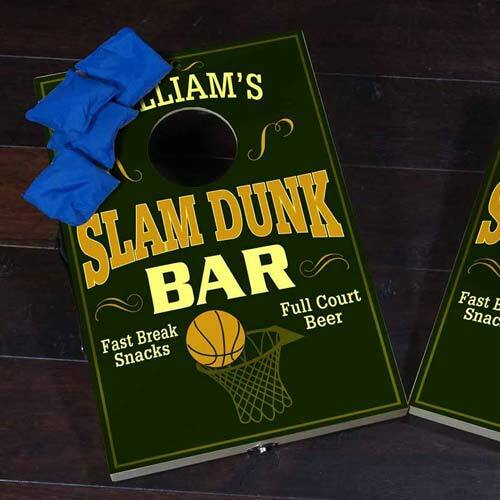 Available in sports bar themes for basketball, baseball, football, soccer, and more (the same designs as the earlier plaques), these are unique gifts that coaches will love. Every good coach needs a basketball hoop in their office, whether it is to keep their hand-eye coordination in practice or and excuse for tossing scraps of paper in the recycle bin. 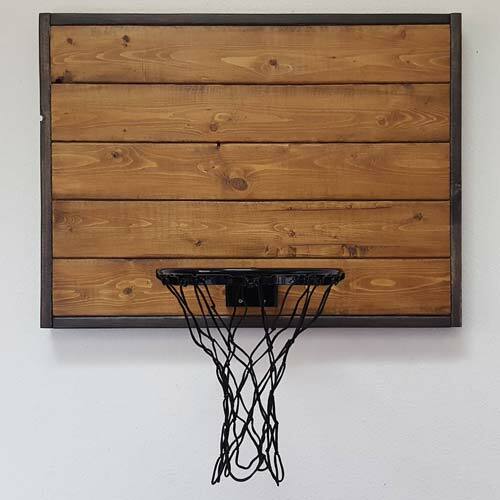 This rustic, natural-wood basketball hoop for the office is a great gift that can be used at home or at school. Adds a touch of class, charm, and playfulness to any coach’s office. Coaches can’t always be on the field, on the court, on their feet. Sometimes a good coach needs to just relax, put their feet up, pop open a cold one, and enjoy the game. 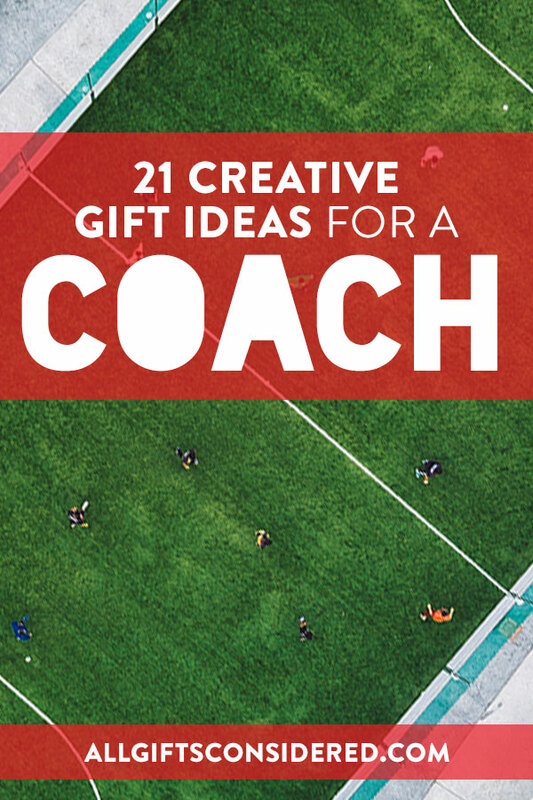 Well, those were our 21 most-favorite coach gift ideas. If you still want to browse more ideas, especially some ones you can personalize, see here.